Could Medicine Learn Something From Sports Statistics? In my teen years I was a baseball statistic junkie. I stayed up late playing Earl Weaver Baseball on my Amiga 500, played Pursue The Pennant and had a wicked collection of baseball cards, that now are all gone (*sniff*). I fell out of that phase but in a recent ESPN Magazine article I was inspired to think again about how medicine often struggles to be creative at times, especially when it comes to our data. We have tons of data in health care, but do we really analyze it in the best way possible? Since I usually hear about a radio interview after the fact, I typically do not post these here, but this one I thought might be particularly interesting since as many of you are opening this email and reading it tomorrow, the show may actually be airing live. At 9am (Pacific) on KQED (Northern California Public Radio) Andrew Lasher, director of palliative medicine at California Pacific Medical Center and Robert Brody, chief of the Pain Consultation Clinic, member of the board of directors for Compassion and Choices will be talking for an hour on palliative issues. I do not know either of these docs, but it would be interesting to see if any of you listen live and call in. We might light up their switchboard. I am curious if anything about hastened death may come up with Dr. Brody being on the board for Compassion and Choices. Have any of you done radio interviews? Any tips or tricks to share with each other? I have done radio interviews and podcast interviews a few times. They seem to be pretty low stress compared to TV interviews for me anyway. One good tip someone gave me was to bring a pen and paper and as people call in, they told me to write down the person's name and the few key things they were asking about so you would not get flustered and forget. Also it helped so you could say "Thanks for calling in Christine, good question." Also make sure to ask where the 'mute/cough' button is. Any other tips? The wait is over as many people checked their email inbox today to find their board results. Hopefully soon we will see a comprehensive report on pass rates. Congratulations to all the people who passed their boards. A growing number of studies have focused on the psychological burden of advanced disease. A recently published study in Critical Care Medicine evaluated the psychological burden in patients with COPD and their caregivers after an ICU stay. The study was performed in France by the same group that brought us the trial of an ICU communication intervention published in NEJM a few years ago. Every January we are excited to celebrate some of the very talented physicians in palliative care with the Hastings Center Cuniff-Dixon Awards. This year I am particularly excited for many reasons! First of all my medical director at Kansas City Hospice and Palliative Care, Ann Allegre, MD, FACP, FAAHPM won the senior physician award. She is a wonderful teacher who has done so much in the Kansas City area to advance palliative care and hospice. Ann is a dedicated doctor who leads well and brings a variety and depth of experience. 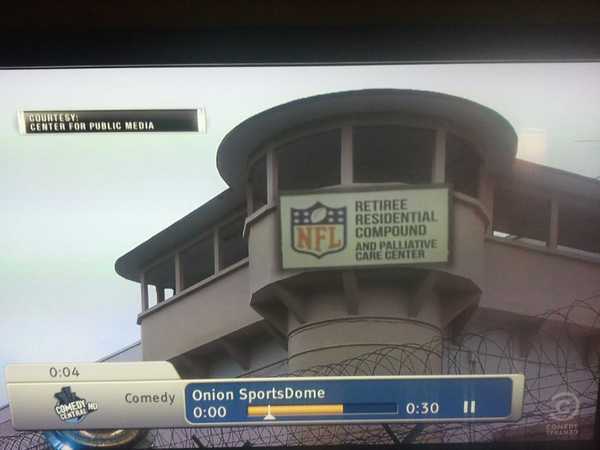 A new satirical take on TV sports news premiered tonight called Onion SportsDome. In one of the opening clips (not available online yet), I caught a quick glimpse of palliative care being used for laughs. The lead-in was that some NFL retirees had escaped and people should be on the look out for them. The clip itslef is not particularly funny, but I grabbed a quick snap of the screen for all of you who do not have to waste your time watching it. This topic is surprisingly gaining more attention for a culture typically described as 'death-denying.' But I guess you can't really deny death after it happens. It is very real then and probably easier to talk about since you may still have this online connection to the person even though in real life they are gone. 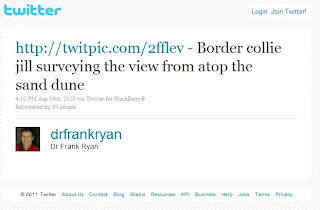 I suppose it can be eerie to look at someone's last post that may have happened moments before they died like Dr. Frank Ryan who drove a car off a cliff moments after a posting to Twitter. In a disheartening and aggravating (to me, anyway) reversal, the Obama Administration has announced that the recent approval (for reimbursement purposes) of time spent counseling patients on advance directives will not go in to effect after all (see today’s New York Times article). As the administration spokesman pointed out, this change does not prevent patients and providers from having these important conversations, but it means that this continues to be a non-billable service under CMS (Medicare) regulations. Thanks for a great 2010 Pallimed readers. We had over 80,000 visits and over 130,000 page views in the calendar year 2010. We will be aiming even higher in 2011 and we appreciate your readership and support over the years. In case you missed some of our bigger posts this year here is a recap of the most viewed posts from 2010 (posts from prior years are not included). Views are listed after the link. What articles were your favorites? Any of these that you missed? With the 2011 AAHPM Annual Assembly coming up, I will post the 8th edition of Handy Hints for a National Meeting. 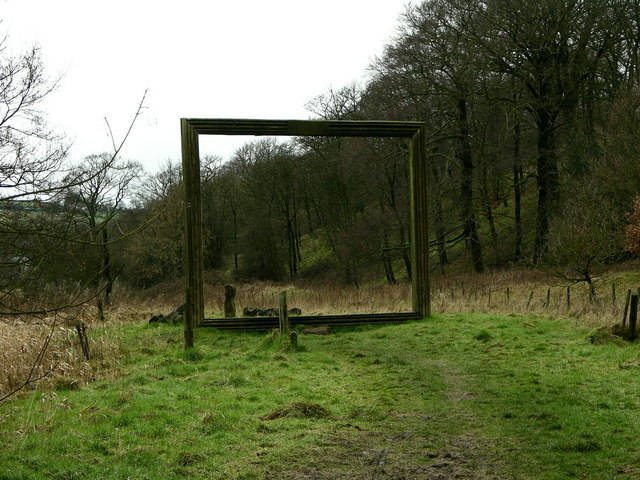 The original version was written in 2005 (editions have been more often than yearly). My first national medical conference was a whirlwind of new ideas and experiences some of which I was not necessarily prepared for. Later this week I will feature How to Give a Great Presentation, 4th edition. And later this month how to use social media to its fullest at a national conference. Please feel free to comment and leave thoughts from your experience. And if you don't agree with any thoughts here tell me why! 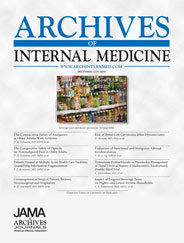 In the current issue of Archives of Internal Medicine, under the category, "Health Care Reform" is a Research Letter entitled, Hospital-Based Palliative Medicine Consultation: A Randomized Controlled Trial. It is brought to you by the good folks at UCSF. It was a 2-year, randomized, prospective, clinical trial of patients 65 years or older with heart failure, cancer, chronic obstructive pulmonary disease, or cirrhosis, who were able to give informed consent, and who spoke English.